We are collecting books for our April 13 & 14 book sale. Books must be in good condition and free of mold and mildew. Books in all categories are accepted. We also accept CDs, DVDs, LPs and videos. No magazines, please. 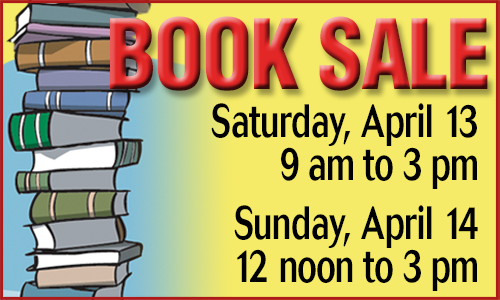 Help raise funds for literacy programs throughout Dare County by attending or semi-annual Book Sale. This two day event features thousands of books in a variety of categories. We also have puzzles, cds and videos. The sale takes place at the Kill Devil Hills Family Recreation Center located at 602 Mustian Street in Kill Devil Hills, behind the wind turbine at Outer Banks Brewing Station. We are currently in need of volunteers to help distribute posters, sort books, set up the evening before the sale and to assist during both sale days. If you are interested, email us or call 252-216-7773. Have some time to volunteer? Just email us at dareliteracy@gmail.com about what you are interested in. Check out all of our volunteer opportunites. We'd love to hear from you!